The courts have viewed 25-year-old Hadiya as if she has no mind at all – or certainly not a mind she has any control over. 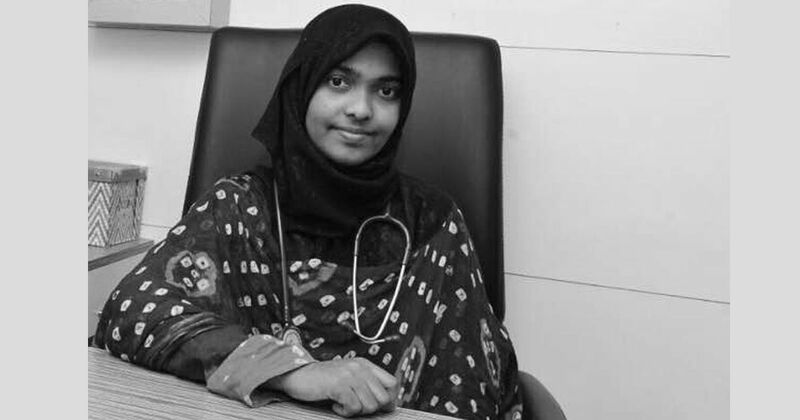 “Do you have a dream for the future?” Justice DY Chandrachud asked 25-year-old Hadiya in the Supreme Court on Monday. But freedom is not hers yet. The court has ordered that Hadiya – who converted to Islam in 2015 against the wishes of her parents, and then went on to marry a Muslim man – will go back to homeopathy college in Tamil Nadu. She will no longer be confined to her parents’ home in Kerala, as she has been since August. But in its order on Monday, the Supreme Court also said, “The dean of the college shall approach this court if there is any problem with regard to any aspect.” The dean has already declared that he will “not allow” Hadiya to meet anyone other than her parents. Besides, the marriage of her choosing – annulled by the Kerala High Court in May – is still being treated as a terrorist conspiracy requiring an inquiry by the National Investigation Agency. But that is exactly what Hadiya was saying – only the Supreme Court justices were not listening. In fact, this is what the young woman has been saying and trying to do all along. She has shown that she has a mind of her own and the ability to stand up for herself. But the courts have treated Hadiya as if she has no mind at all, or certainly not a mind she has any control over. It is a court that dissolved her marriage, and a court that placed her in her father’s custody. It is a court that has allowed her to return to college, and made the college dean, who will decide whom she can and cannot meet, her de facto guardian. It is the same court that, instead of overturning the High Court’s bizarre annulment of her marriage, ordered an investigation into her conversion and marriage by India’s anti-terror agency. The courts have treated Hadiya like she is chattel. The Kerala High Court treated her as if she was her father’s property, as someone who does not have the right to choose her religion or whom to marry. The Supreme Court too has treated her as someone without the right to choose how to live, whom to marry, or even to assert that she has a husband who can support her. Hadiya told the apex court on Monday that she had suffered 11 months of “mental harassment”. The courts colluded in this. That the choices she has made as an adult are subject to the authority of court decisions is what denies her “a life of dignity”. While the apex court dithered over whether to hear Hadiya on Monday, lawyer Indira Jaising said that if it was a man in Hadiya’s place, the court would have responded differently. 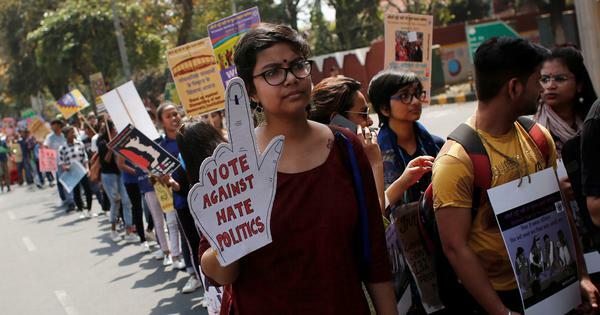 The court’s sharp reaction – it criticised Jaising for bringing in gender and asserted that it treats men and women alike – suggested that the judges of the Supreme Court are unable to identify what is patently an issue of gender justice. That Hadiya was in court at all is because she is a woman. That her marriage was annulled without the court even asking her if she had consented to it is because she is a woman. That the court placed her, an adult, in the custody of her father, is because she is a woman. That she was declared to be indoctrinated, or of unsound mind, is because she is a woman. That a Supreme Court judge, after hearing her speak her mind, felt the need to tell her that a woman is “an individual with her own mind”, is because she is a woman. This is how women were treated for millennia, and in India it seems even modern laws are no protection. Women who stand up for themselves, take decisions about their lives that go against the wishes of their parents, especially those women whose marriages transgress socially enforced boundaries of caste, religion and region, are a threat to the primordial social structures that still cohere our modern nation. In some parts of India, parents just kill such errant daughters. In Kerala, they use the courts and terrorism laws against them. Hadiya chose a different religion from that of her family’s, and a husband not of their choosing. This was sufficient to have her declared indoctrinated, unstable and a victim of what was described as “mental kidnapping”. In response, Hadiya has reaffirmed that a woman has the right to choose how to live her own life, whom to love, what creed to follow, how to keep body and soul together, and above all, as she said in court, to be “considered a human being”. Hadiya said in court, before she left for her college, and after she arrived there that she hoped for more freedom and to meet Shafin Jahan in Salem. It is a hope that Hadiya will have to hold on to because the Supreme Court is in no hurry to let her have the freedoms that are hers by right, as a human being and as a citizen of India.